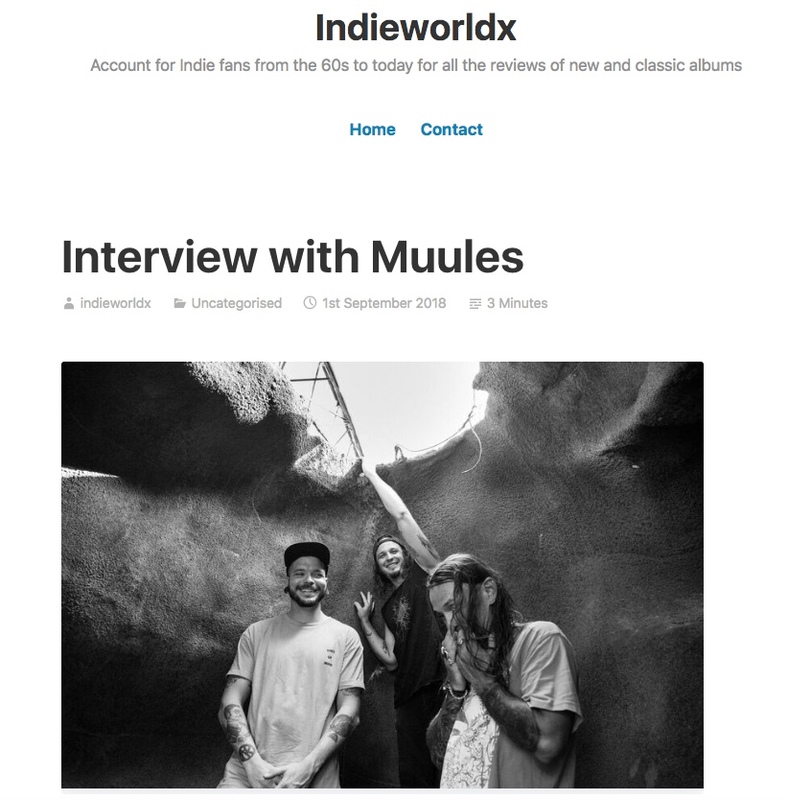 "Look, the whole ‘mission’ of Muules was to create music we liked and thought was cool, was fun to play, and a challenge. We didn’t expect it really to take a life of its own..."
That time when Banks Radio Australia/Valley FM 89.5/Sweet Sunday Sounds had us at #1 in their Top 15 Australian/NZ tracks of the week. "Any show where you don’t break anything is a good show, to be honest. Festival shows are sick, giving you the ability to reach whole different demographics and playing on big systems, but you’re also generally limited to very strict set times. Intimate gigs, the majority of the audience is there to see you. As long as the sound’s good, we can hear ourselves, and we can see people dancing/singing to our stuff, then the show is a winner..."
"Teaming frenetic drums, rhythmic bass lines and powerful yet emotive vocals, these Sunshine Coast natives creative a grunge-tastic wall of sound that honours stylistic fore-bearers and influences like Soundgarden and Royal Blood with an over-arching Nirvana vibe for good measure..."
"Muules offer exciting alternative rock that might bring to mind A Perfect Circle, with a rolling groove..."
"Effecting a very 90's Soundgarden grunge-rock sound, Muules hold their own despite the absence of a guitarist and their songs are short, sharp and sweet throughout their tight set..."
"Look Ma! No guitar! 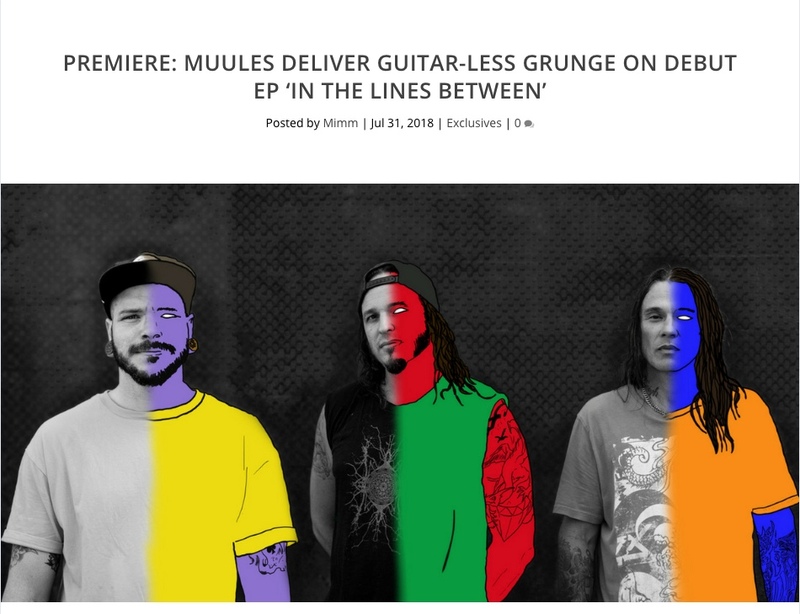 Muules is what happens when you take a bassist (predominantly known for playing in reggae bands), a punk drummer, and a vocalist who hasn’t touched a mic for nearly a decade, lock them in a room together, and tell them to produce tracks with all the heart, sweat, and blood from a 90s mosh pit..."